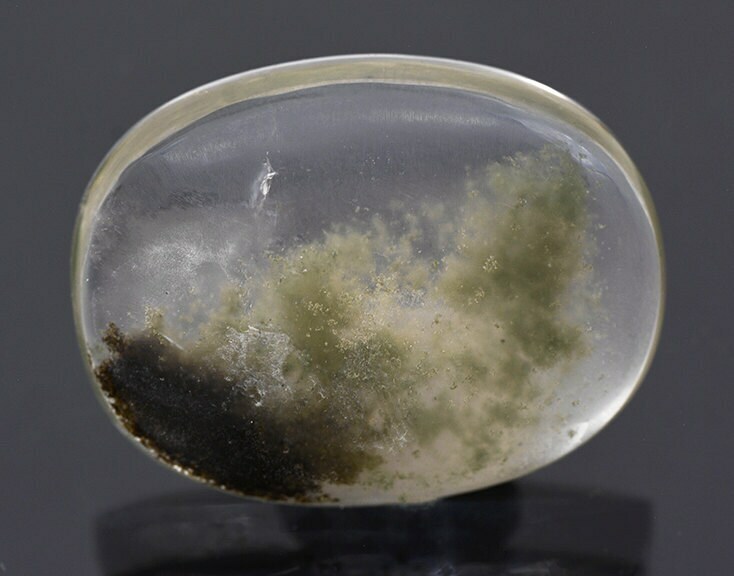 Large Polished Brazilian Quartz with Chlorite Cabochon 79.45 cts. 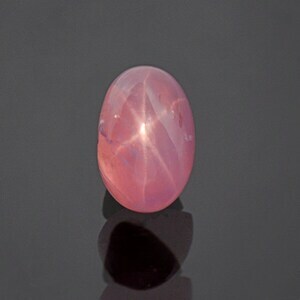 Size: 23.90 x 26.65 mm. 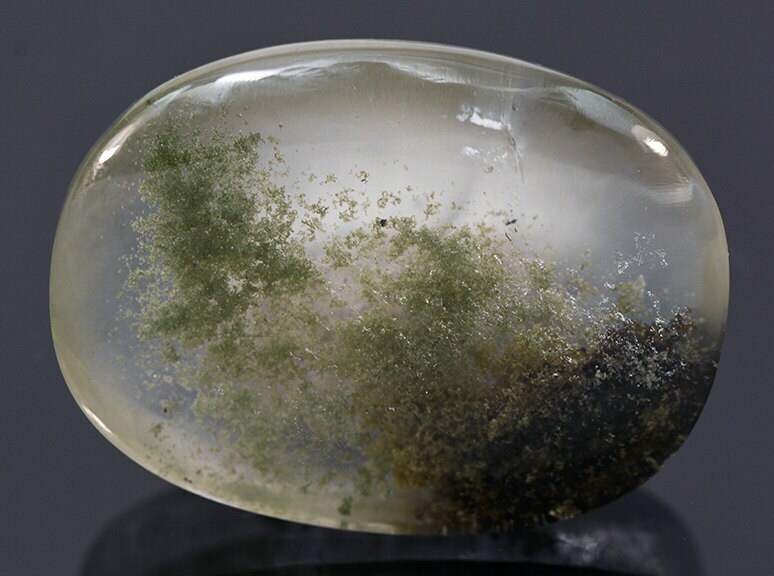 Here is a pretty inclusion gem from Brazil. 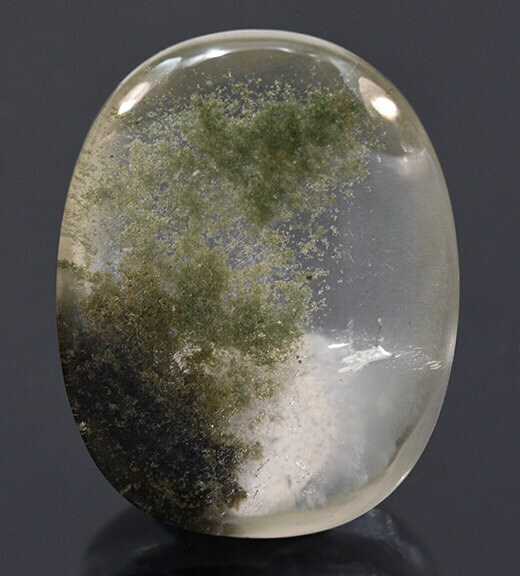 This piece features lovely green Chlorite crystals spread throughout the center of the gem. This piece was native cut originally and had a poor, scratchy polish on the crown but we went though and refinished it with excellent results. 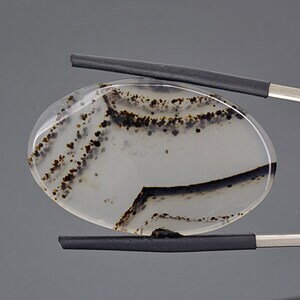 The Quartz has few of the less desirable inclusions, such as flaws and cracks, which defines the Chlorite appearance much better. 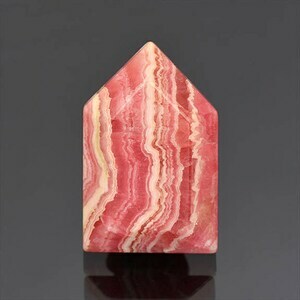 This stone is nearly 80 carats, and will make a bold pendant if so desired, but this piece is still a nice collection stone if not set. 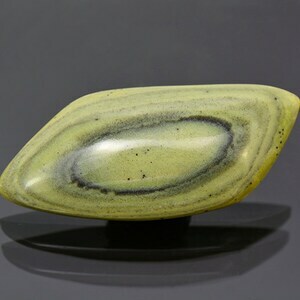 Aesthetic Natural Polished Agate Slice from Montana 41.96 cts.